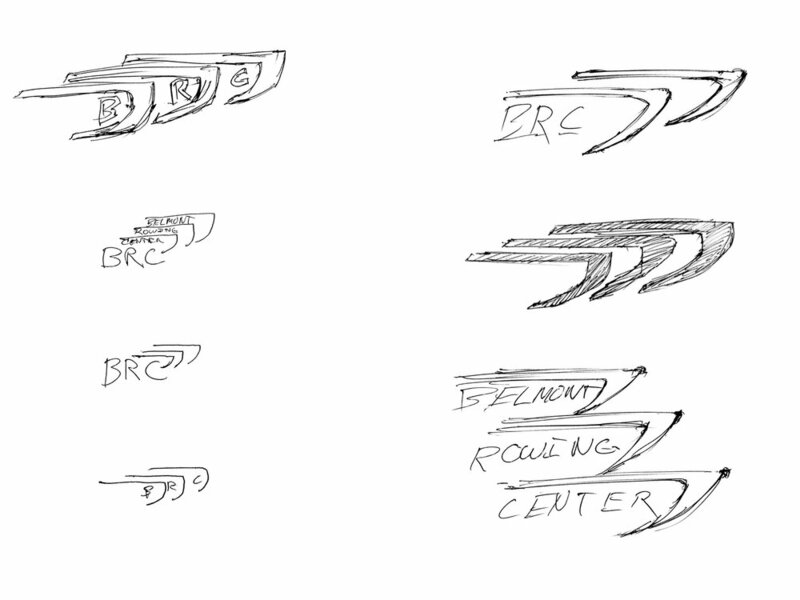 Here I was working with the letter forms of Belomont Rowing Center, exploring them to see if they could resemble a rower, or perhaps the equipment used. I hit upon the idea of using the bow of the boats they row in, caught in the action of racing against each other. The BRC board voted upon these 4 designs to choose the one that best represented the club. This is the painted logo on a shed. In helping to build a rowing club in North Carolina, I offered my design services to the fledgling club. This project involved a complete brand solution, from color selection to a logo and correspondence templates.